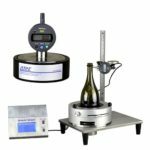 The simplified Aphrometer is designed to check the pressure and the vacuum in the bottles of still wine (Bordeaux bottles, Burgundy bottles). 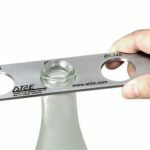 Thanks to its sting this pressure gauge pierces corks and some synthetic corks, but it cannot pierce crown caps or all other metallic shutters. 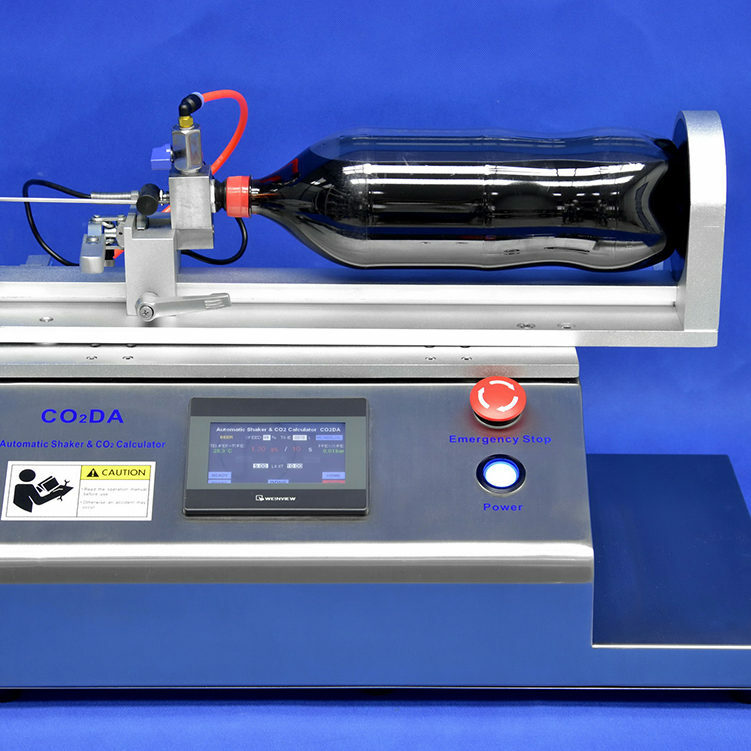 The cork ensures the airtightness. 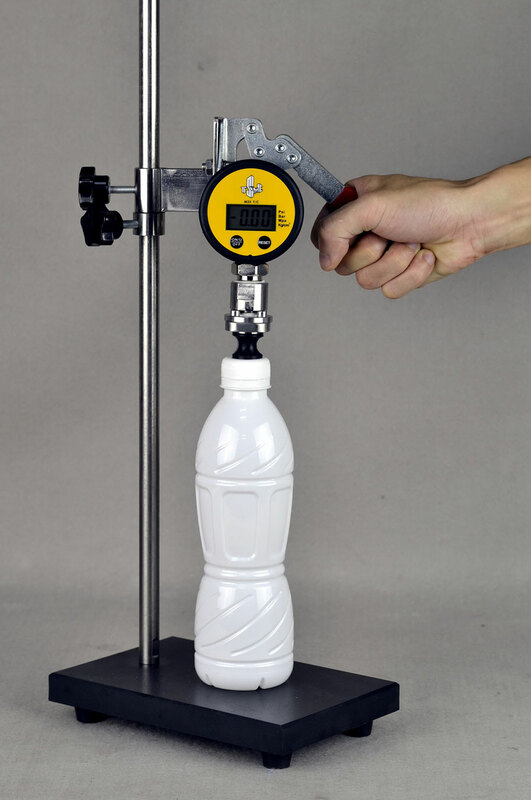 “PVG-P” is the portable model for measuring pressure or vacuum into bottle. 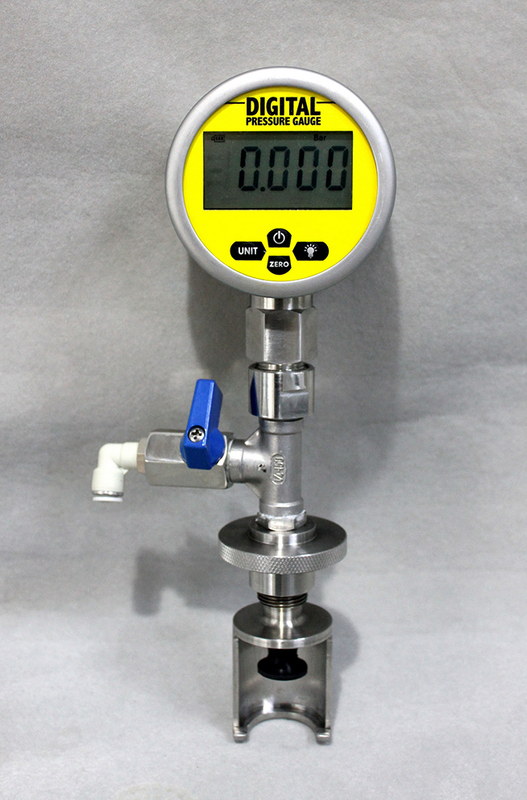 Install the PVG-P under the finish neck and adjust the needle on the cap’s center, then screw the nut. 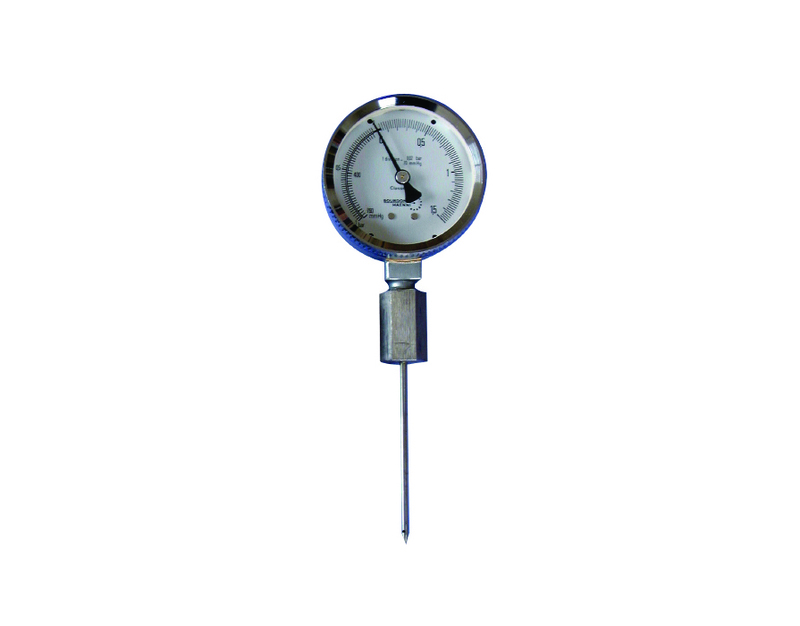 The needle will pierce the cap without leakage and check the pressure or vacuum value. 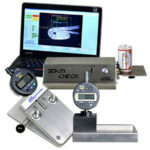 The “PVG” is used to measure pressure or vacuum of can or bottle. 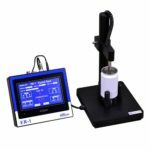 Simply place the sample under the entity manometer or vacuum meter and lower the lever. 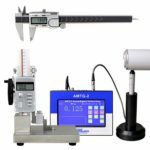 Then read the value. 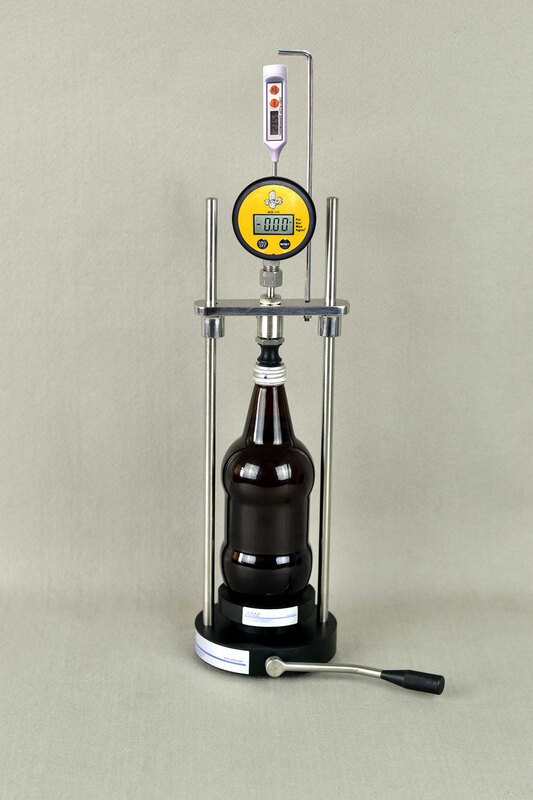 This aphrometer checks the evolution of the pressure during the secondary fermentation. 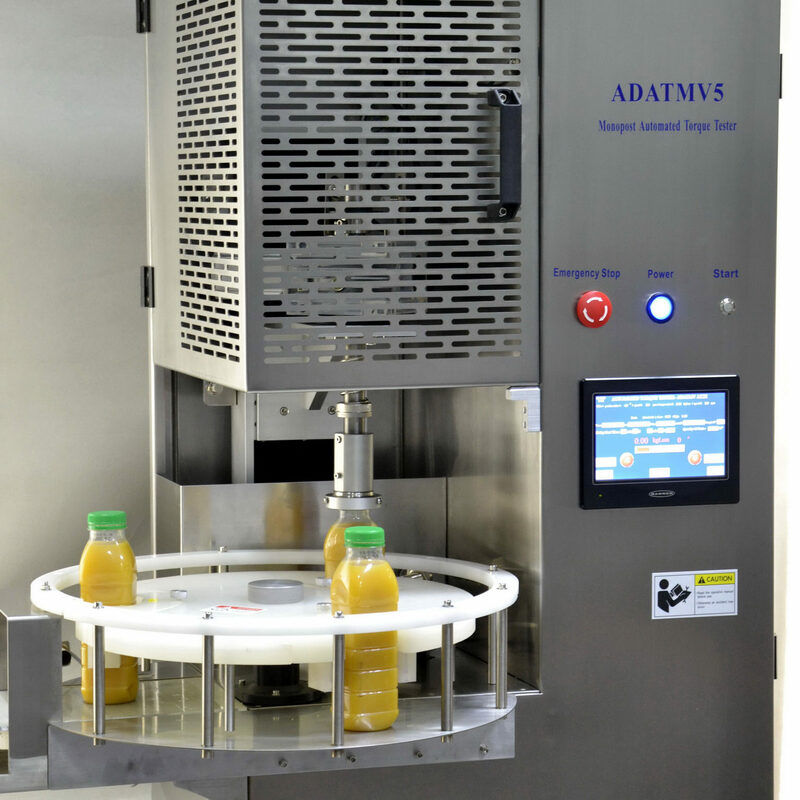 Remove one bottle without cap from the filling machine and put the aphrometer on the bottleneck. 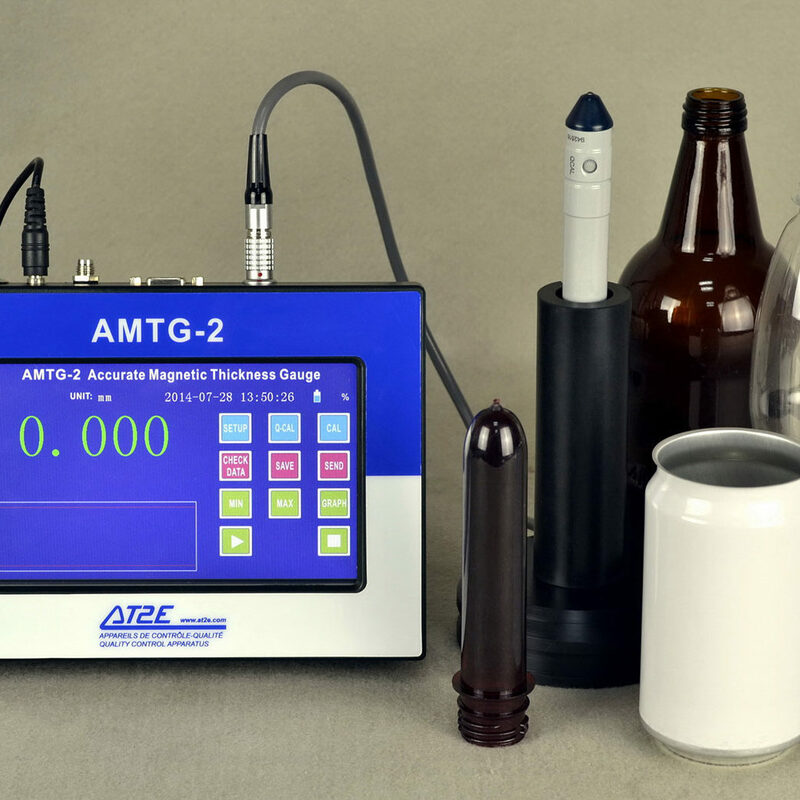 The permanent aphrometer will remain on the bottleneck during the entire secondary fermentation. 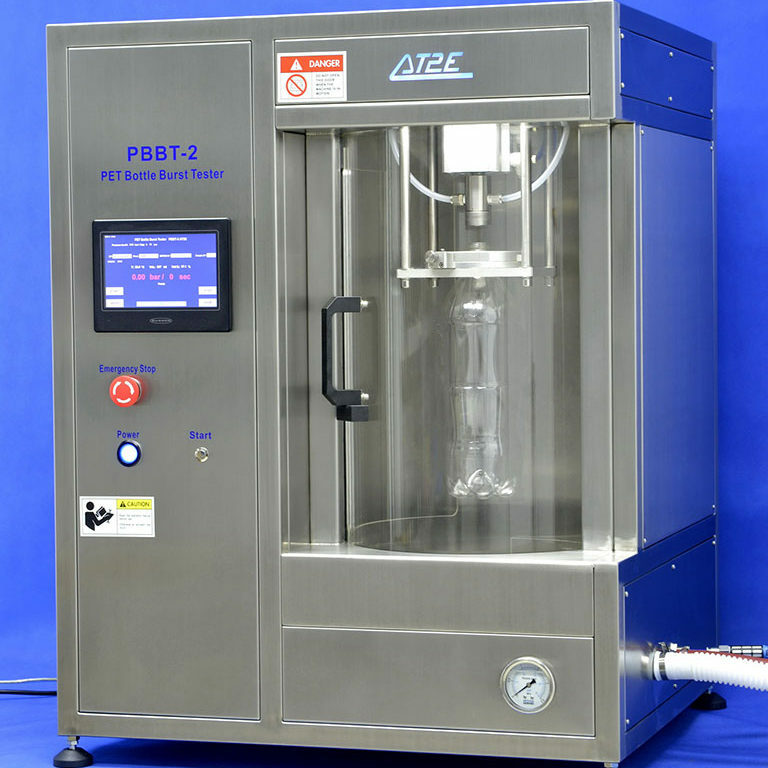 This aphrometer is designed to check the pressure during the secondary fermentation. 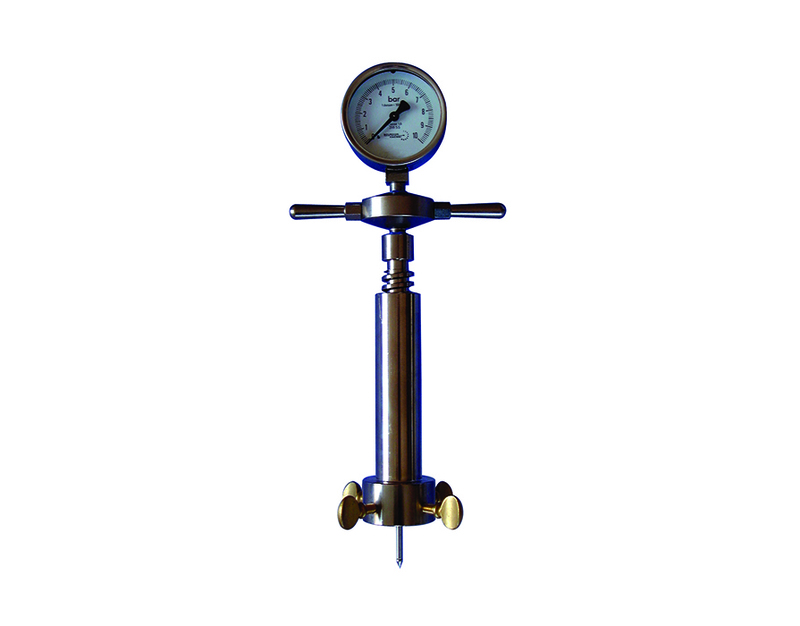 This Champagne pressure gauge checks instantaneously the pressure in the bottles topped on with a crown cap with or without plastic shutter. 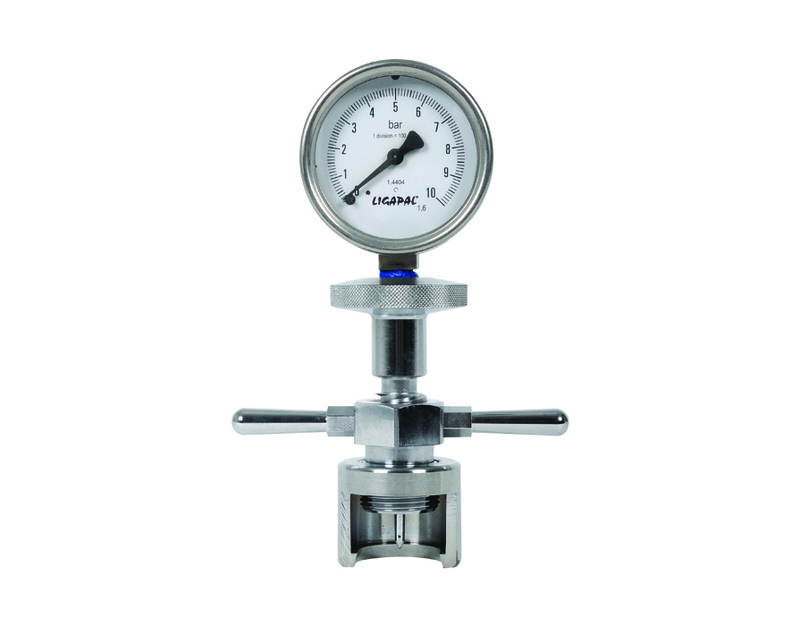 A gasket ensures the airtightness between the aphrometer and the crown cap. 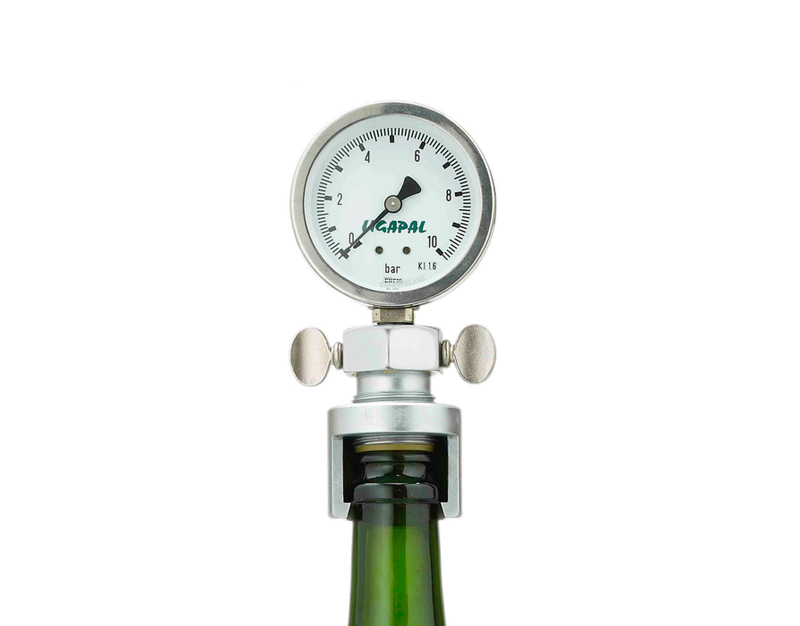 It measures the pressure in the champagne bottles topped on with a wire-hood and a cork. 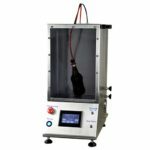 Its strong mechanism allows it to pierce easily the wire-hood and the cork to check. 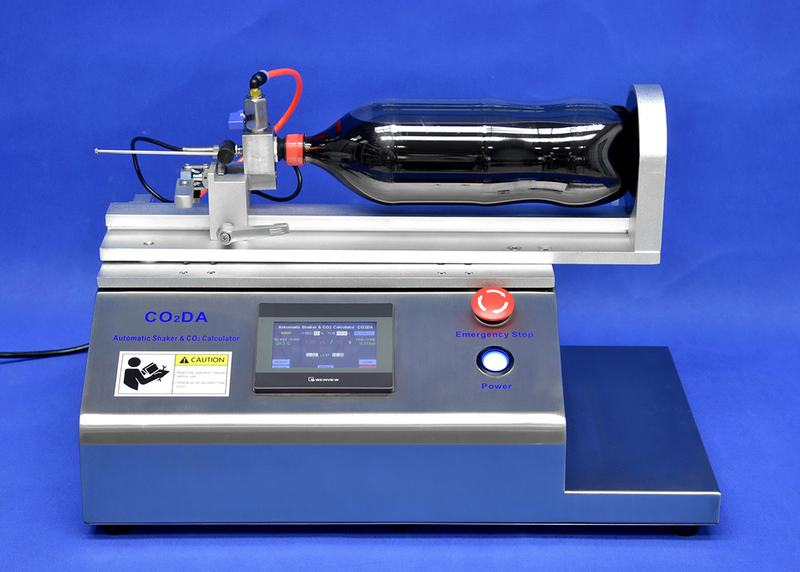 The cork ensures the airtightness during the test. 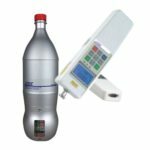 For a constant quality and taste of all kinds of carbonated drinks, the critical parameter is the CO2 (carbon dioxide) content in the liquid. 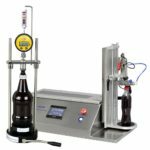 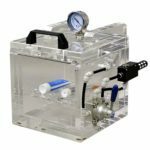 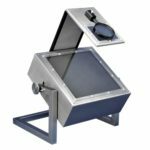 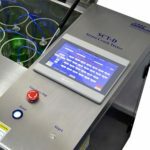 Our CO2 measuring device is a standard equipment and widely used in breweries and in the non-alcoholic beverage industry for frequent measuring of the CO2 content during production. 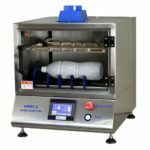 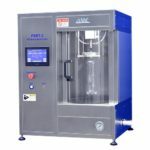 AT2E CO2DA – Automatic Shaker & CO2 Calculator is a special instrument which is for calculating the carbon dioxide content in the filled drink in glass/PET bottles and cans. 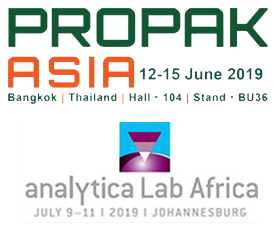 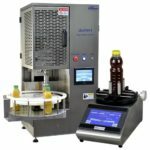 The simple operation which also guarantees high reproducibility makes it become a significant equipment of quality control in the beverage industry. 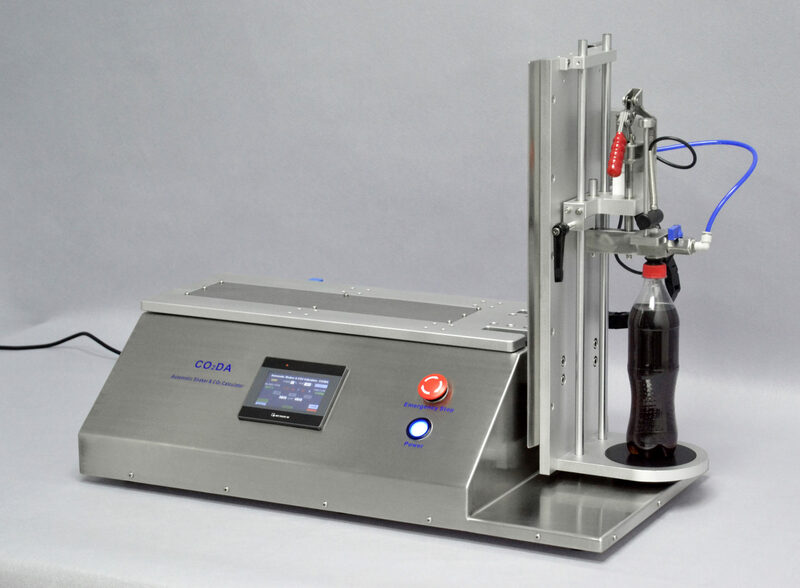 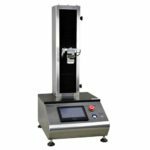 The CO2-P CO2 Purity Tester is a special instrument which is for calculating the purity of CO2. 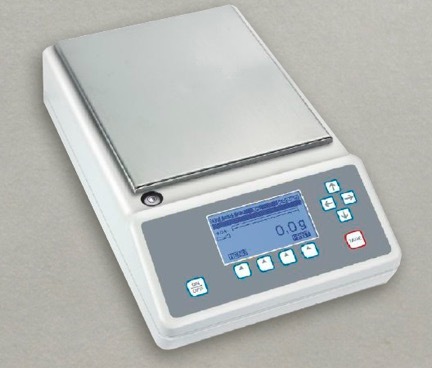 The principle is based on absorption burette to measure the impurities (O2 and N2 e.g.) 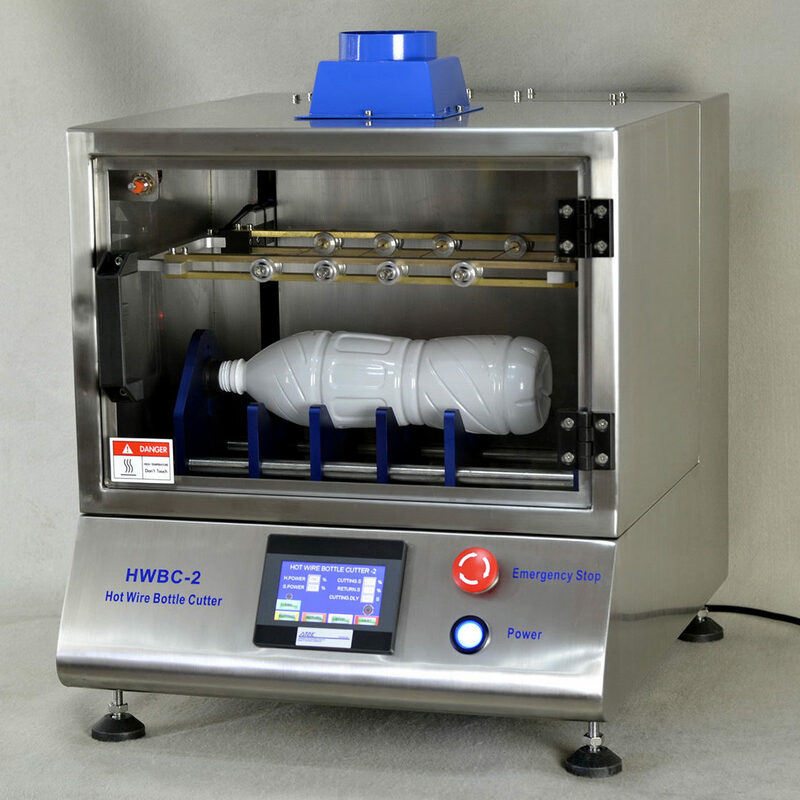 of CO2 in a mixture of gases.